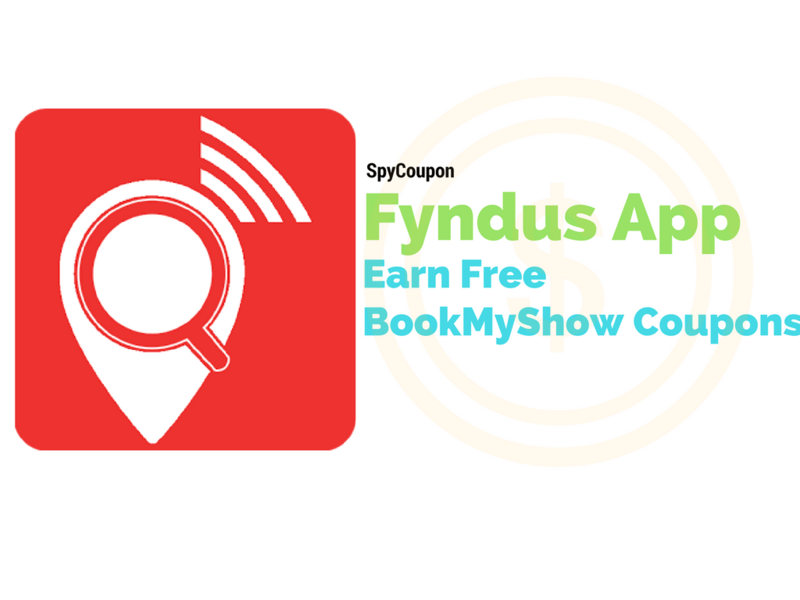 [Temporarily Stopped] Fyndus app is now giving 75 Rs sign up bonus & 25 Rs per referral which can be redeemed as BookMyShow winpin coupons & KFC vouchers. 1] Click here to download this app from play store. 2] Since it is available only for Chennai, you can use Fake GPS location app. 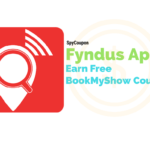 3] Open Fyndus & enter your mobile number. 4] After verification, you will receive popup like this : Boom! 75 credits credited to your account. 5] Note : It might take few minutes to verify OTP since the system has became slow due to heavy response. So, keep trying until you enter into the app. 6] In next window, it will ask you to enter referral code. 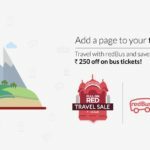 Enter FIE4614 to earn 25 Rs bonus! 7] Enter first & last name, email id & birth date. Then click on Submit button. 8] If you are not living in Chennai, then open fake gps location & change it to chennai. 9] Open Fyndus again & go to left sidebar. It will show something like this. Proceed further and click on ‘invite and earn’ option. 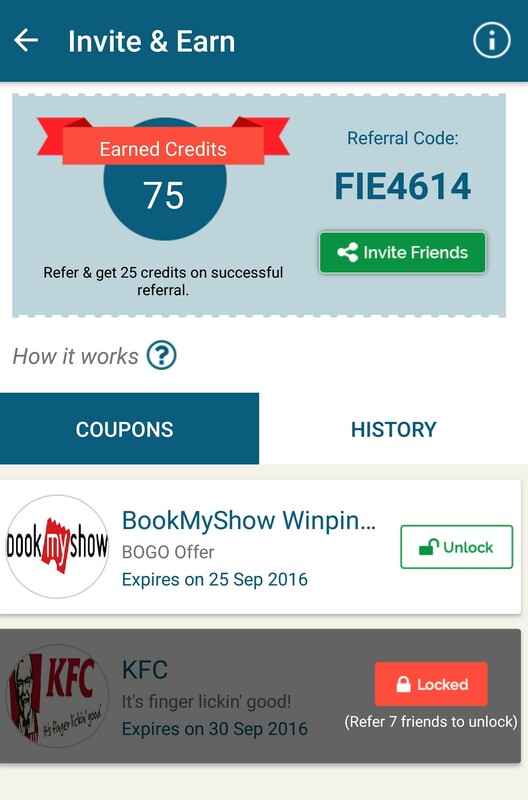 11] If you want, you can redeem 50 credits for BookMyShow winpin or KFC vouchers. They are instant discount coupons. 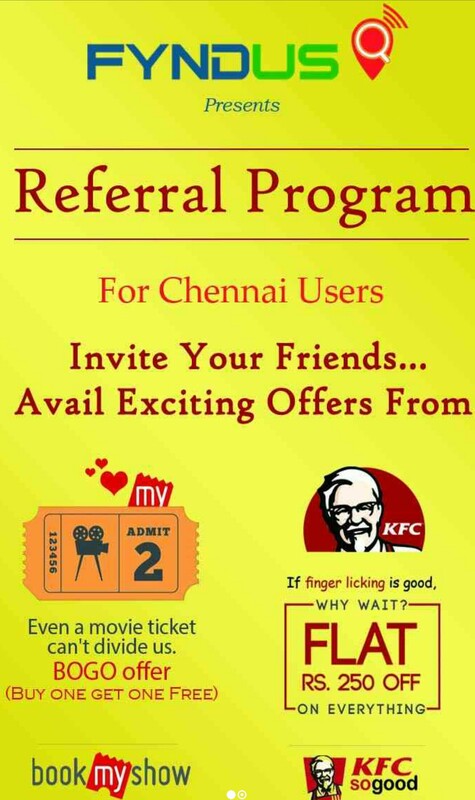 Your friend will get 85 Rs on signup after using your code. 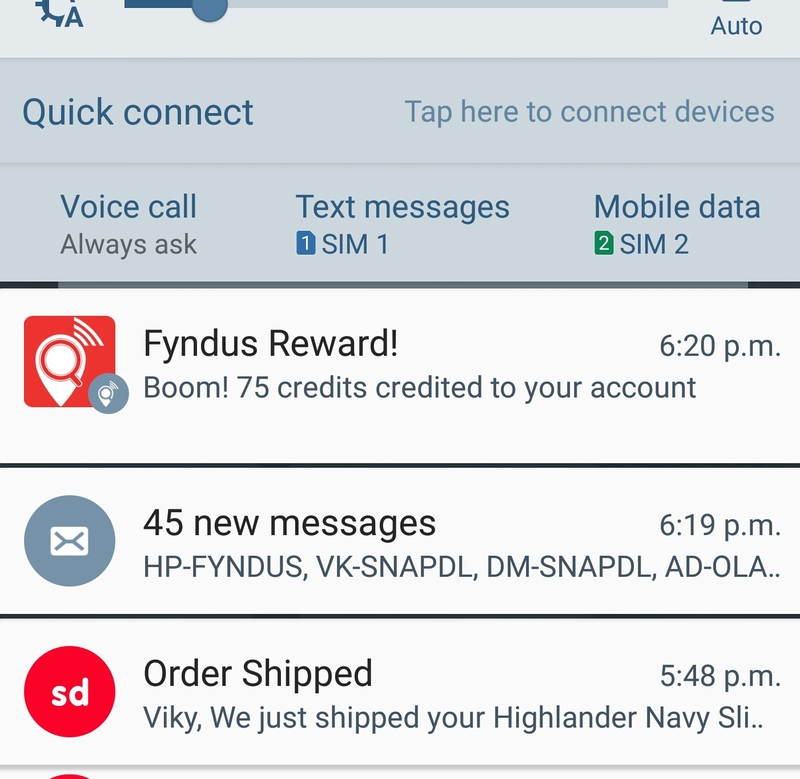 Fyndus credits can not be transferred to any other account. Maximum earnings are capped at 1000 Rs. It might take upto 24 hours to get your coupon code.